Yangshuo, China - No. 76 Shima Road. Michael's Inn & Suites is a medium-upper level hotel, with a unique blend of French countryside & Northern European design, providing international standard services. This is a planning-chain brand hotel. Set at 1. 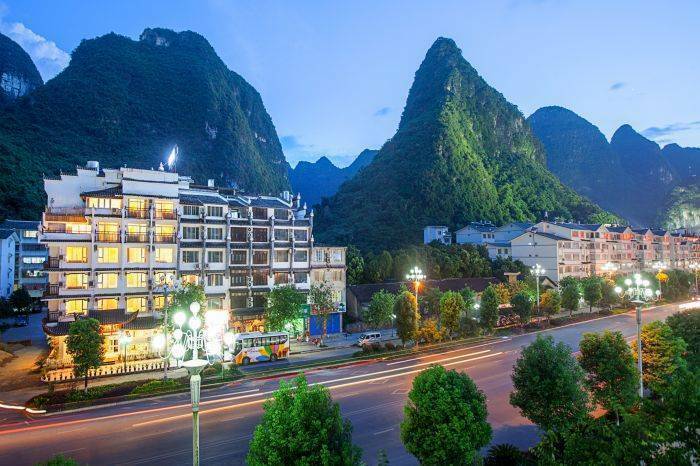 1 km from the heart of Yangshuo's city, this hotel offers the advantage of being located in the strategic hub of all the best attractions in Yangshuo. Michael's Inn & Suites provides stylish & comfortable guest rooms with modern and clean facilities. Take a moment to relax or immerse yourself in reading in your private space completely surrounded by the enchanting natural scenery of Yangshuo. 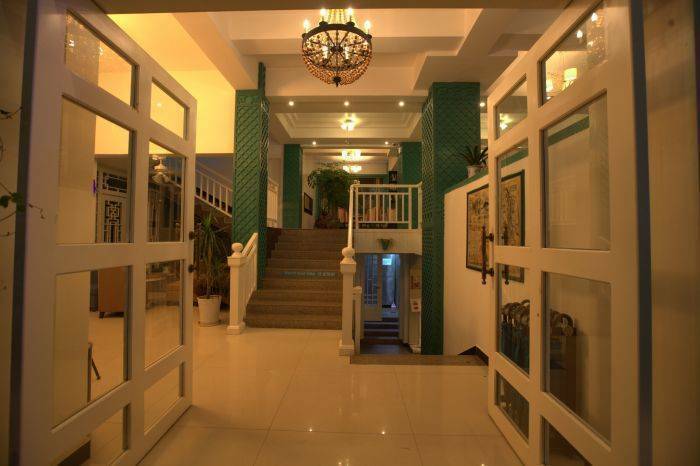 Countless hotel facilities have been set up specifically for a stay of pure pleasure. The bohemian-style rooms are equipped with standard-comfort beds, private conditioning, flat screen TV and ensuite bathroom. Non-smoking rooms are also available (please indicate your preference for a non-smoking room when booking). The services offered by the hotel will further refine your stay, allowing you to choose between the possibility to rent a bike, get discounts for local attractions and even book a wake up call for the morning. Are also available recreation areas for children and for adults. Delicious snacks can be enjoyed in the hotel bistro. We know how difficult it is to start the day on an empty stomach, so take the opportunity to make use of our breakfast service during your stay. The reception staff speak both Chinese and English and is at your disposal at any time for any curiosity or need you may have. If you're heading to Yangshuo come and visit us, we are waiting for you! Provided with modern and clean facilities, comfortable mattress, colorful and stylish curtains, romantic private bathroom with bathtub and shower. Standard Queen/Twin bed room - Our standard Queen/Twin bed mountain view rooms feature modern design, refresh your senses in the romantic bathroom and then you can snuggle in a cosy dovet with a pillow for a perfect night sleep. Penthouse - Our penthouse rooms feature amazing mountain view. Comphemented by charming and modern western décor. Suites - The suites rooms offer breath-taking mountain view. As well as the warm comforts at home. It takes you 10 minutes to get to the town center and the West Street. - The pre-authorization of total price of reservation will be made when check-in. -You may cancel your reservation for no charge 48 hours before the date of arrival, please note that we will charge a fee of the first night if you must cancel after this deadline or in case of No-show. 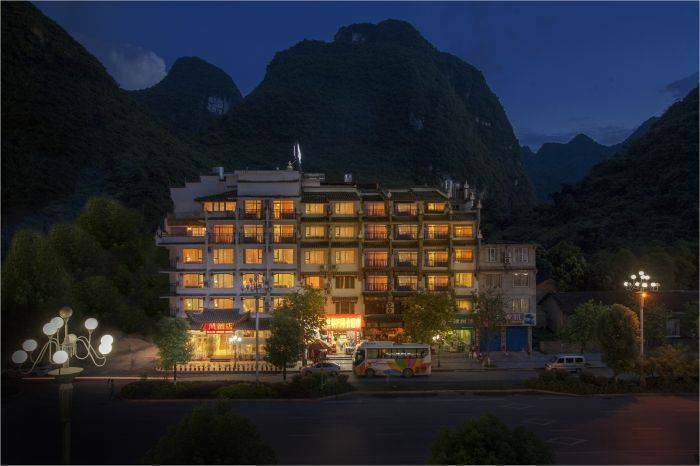 Michael's Inn & Suites surrounded by the world-famous karst mountain landscape. 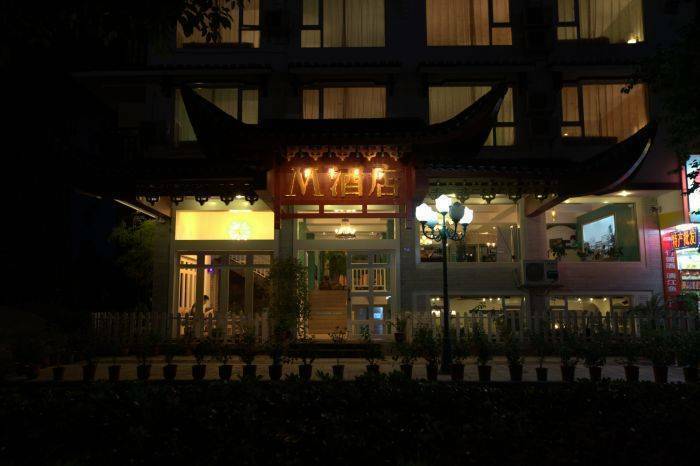 Located in the most convenient place in Yangshuo for travelers, it is known as the "scenery within triangle". West Street is a 20-minute walk and a 15-minute walk to the Light Show. It just takes you 20 minutes by bicycle to go through the Gallery main road and arrive at the ancient Big Banyan Tree and beautiful Yulong river. 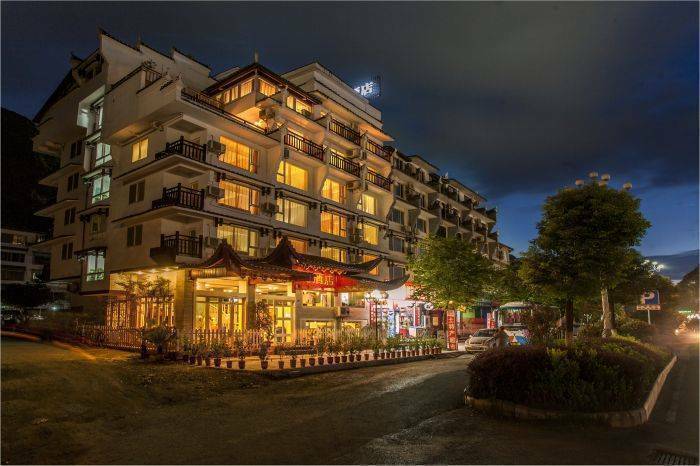 The traffic around Michael's Inn & Suites is easy for you, and the convenient shuttle bus can take you directly to Guang dong, Shenzhen and Guilin. You can arrive at Yangshuo Central Bus station in 10 minutes by bus. Nearest airport: You can arrive at the Guilin Liangjiang Airport in an hour by bus.